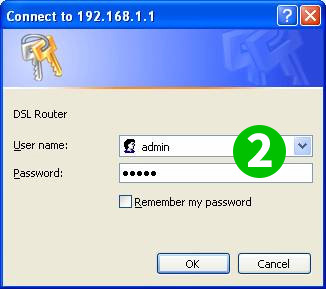 Open a web browser such as Safari, Google Chrome or Internet Explorer. 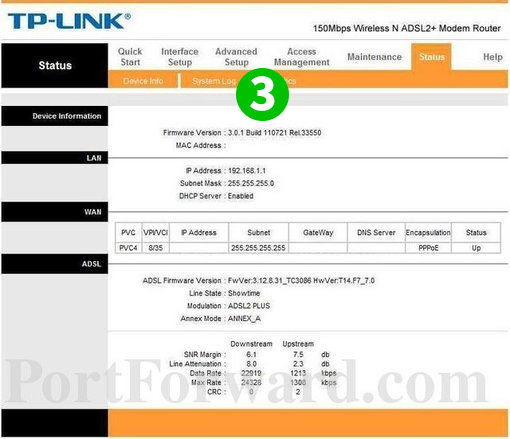 At the top of the window in the address bar type in the default IP address of TP-LINK modem router (192.168.1.1), and then press Enter. Click the "Advanced Setup" link near the top of the page. 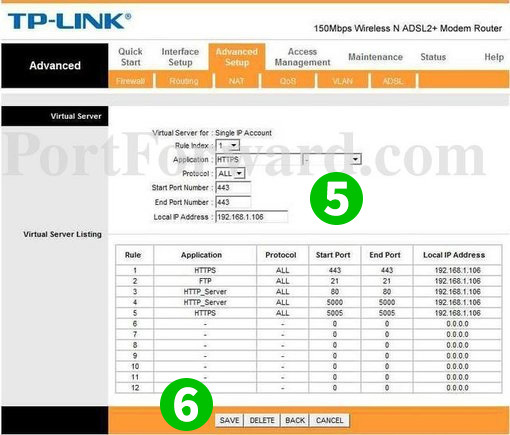 Add a new or modify an existing rule to redirect "Start Port" and "End Port" 80 to the IP address of the computer cFos Personal Net is running on and select "ALL" as "Protocol"